There’s nothing quite like the satisfaction of eating crispy, fresh fries on a nice, sunny day. But for many people, indulging in this craving isn’t without its fair share of guilt. As you probably know, frying foods at high temperature can destroy precious nutrients and the oil used to cook these foods is often made of GMO ingredients. These oils also contain trans fats that contribute towards high cholesterol and heart disease (1). Luckily, there are a few ways that you can enjoy fries without putting unhealthy foods in your body. While white potatoes have their share of nutrients, sweet potatoes are even more nutritious, never mind being more delicious (2,3,4). 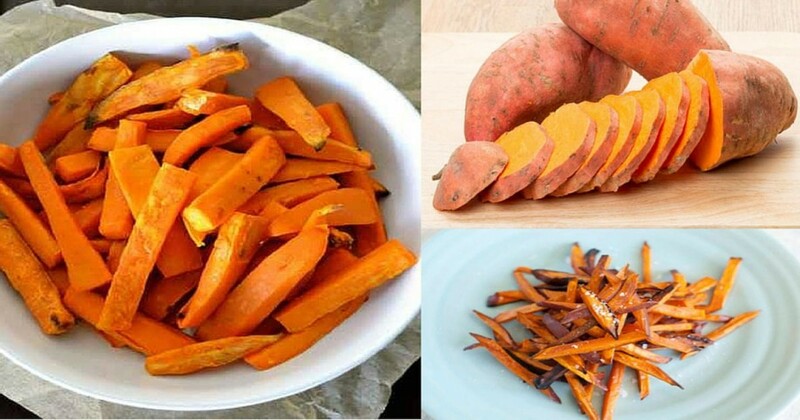 Sweet potatoes are full of vitamin A and C, which support the immune system, promote the maintenance and growth of important tissues and blood cells. They also play an important role in embryonic development as well as eye, skin, bone and tooth health (5). But that’s not all, sweet potatoes contain complex carbs which help regulate energy and stabilize mood as well as ensure proper metabolic and immune function. They also have an abundance of vitamin B6, which is important for nervous, hormonal and metabolic health. The colorful root vegetable also contains an abundance of minerals like potassium, which is essential for proper heart and kidney function; magnesium, which is a cofactor in hundred of processes in your body and calcium, which maintains nerves, heart and blood clot function. It’s also full of wound-healing manganese and blood-maintaining iron (6,7). Other important nutrients found in sweet potatoes include cancer-fighting beta-carotene and choline, which maintains the membranes of your cells and helps regulate inflammation. Toss these in your oven when your feel a craving coming on. Wash and peel potatoes and then cut them into even fry-shaped pieces. Oil your baking sheet to prevent your fries from sticking and distribute them in a single layer, making sure that they don’t touch. If you’re making lots of fries, use a second baking sheet. Cook for 15 minutes or so and flip them to cook on all sides. 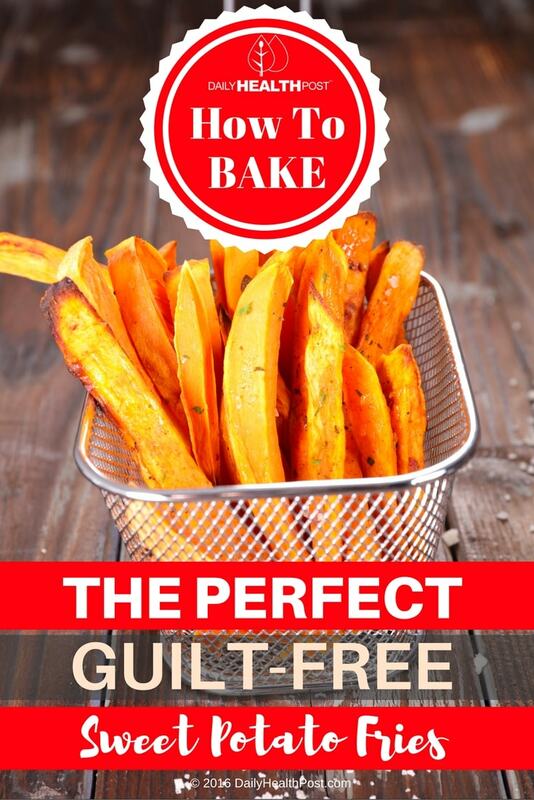 Bake for 15 minutes, then carefully flip the fries so they can cook on all sides. Bake for another 10-15 minutes or until crispy and well cooked. Let them cool slightly and serve!